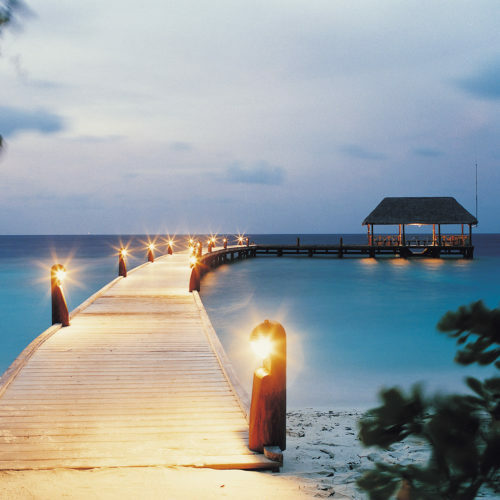 Enter the Cocoa Islands for a gently sculpted corner of paradise where the ambiance is truly perfect for the vacation. The 17 converted timber Dhonis of cool pared down luxury, are adjoined by simple wooden walkways above the shallow waters. 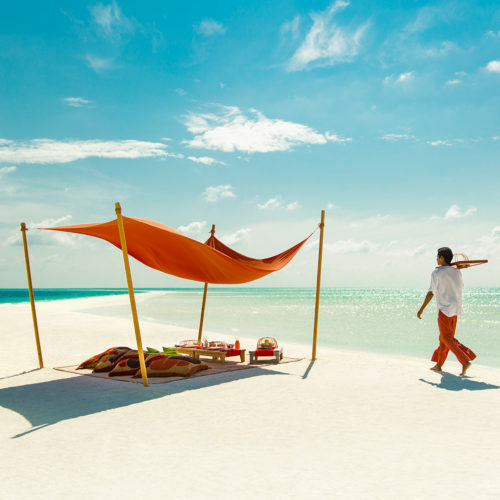 This is an intimate white washed haven, featuring a gourmet restaurant and the award winning Shambhala Retreat Spa situated on one of the least developed atolls in the Maldives. This natural island also boasts an excellent house reef just moments from your luxurious Dhoni Suite.